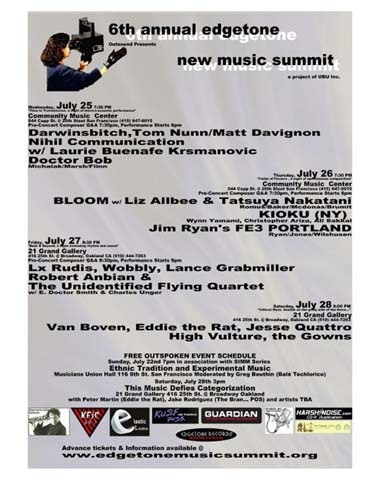 Edgetone New Music Summit was posted on July 22nd, 2007 at 12.06am and is filed under Dance, Music. This entry has one comment. You can follow any responses through the RSS 2.0 Feed.